Few titles, if any, could have E3 trailers that don’t show any gameplay and still be some people’s pick of the conference. But considering that Death Stranding comes from the legendary Hideo Kojima, you can understand why there’s so much excitement surrounding his mysterious upcoming work. Now, Kojima has increased this anticipation level tenfold by revealing that the game will be his “best work so far.” A bold statement from the man behind the Metal Gear Solid series. Speaking to Sony's Mark Cerny – game designer and lead system architect for the PlayStation 4 – at a Develop:Brighton keynote in the UK, Kojima expressed relief that he no longer faces restrictions when making games – a possible reference to Konami stiffling his creative freedoms. “When I’m making games there’s ultimately a point where I have to give up on something, where I need to compromise in order to get things done,” he said via a translator. 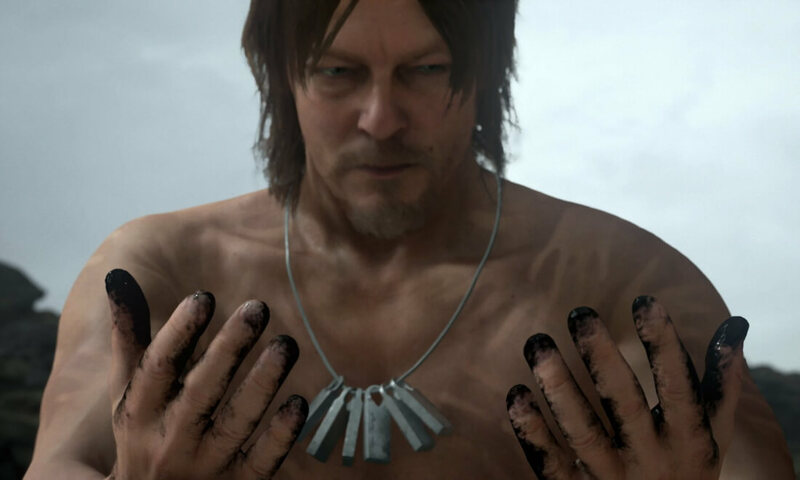 Death Stranding, which features Walking Dead Actor Norman Reedus, will have to be something quite special to beat Kojima’s last game, the excellent Metal Gear Solid V: The Phantom Pain, which won a number of ‘Game of the year’ awards and nominations. Despite the huge amount of hype, we still don’t know what sort of game Death Stranding will be, or anything about the plot. Even the release date is unknown, though mid-to-late 2017 is likely to be the earliest we can expect to play it.